I haven't made a post in about three weeks since I've dropped Tsuritama. Here's a short random bit on something I saw recently. I've seen a couple episodes of these Young Animator Training Project one-shots floating around, but according to wikipedia ( really credible source, I know), these projects are actually government funded, which is quite interesting. Nevertheless, this is the first of any of the one-shots that I've seen. If you have a random 25 minutes of free time, try watching this first because there'll be spoilers. Though the show first seemed to be about some creepy spider monster mythology, Japan would never pass up the chance to lolify something, and I would say it was a resounding success. Though I don't necessarily have arachnophobia, larger spiders do creep me out a little bit. 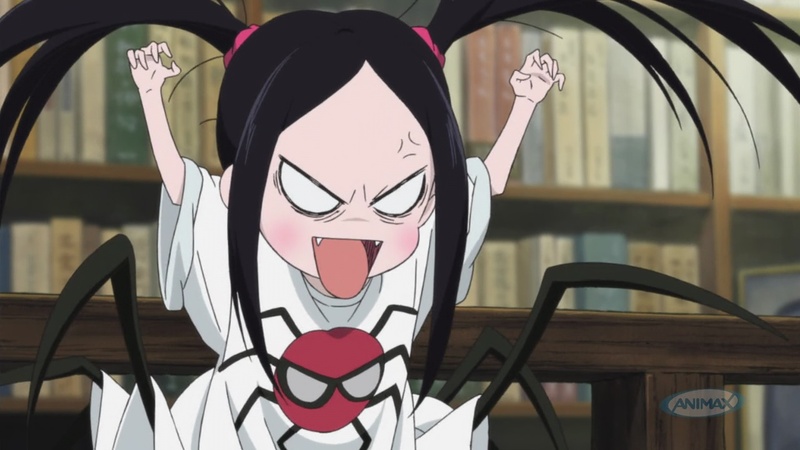 However, I found the spiderloli extremely cute. The three main characters in this short were all likable. Coming from training animators, I found the art and animation quite decent. The music really fit the mood for the most part as well. The main guy Suzuri gets entangled by the spiderloli's charm and cared for nothing but her. Mizuki, on the other hand was tasked with breaking this spell before it was too late. After a battle of literal tug and pull, Mizuki snaps Suzuri back to his senses, or so it seems. What can a little girl like her do against the magical? This short didn't give a lot to go on, but it seems it wants to say that the supernatural can easily exert its influence on normal people like us. What kept me watching was the thought in the back of my mind of whether the course of the show will follow the events of the legend. As it turns out, the twist at the end nearly made my jaw drop. 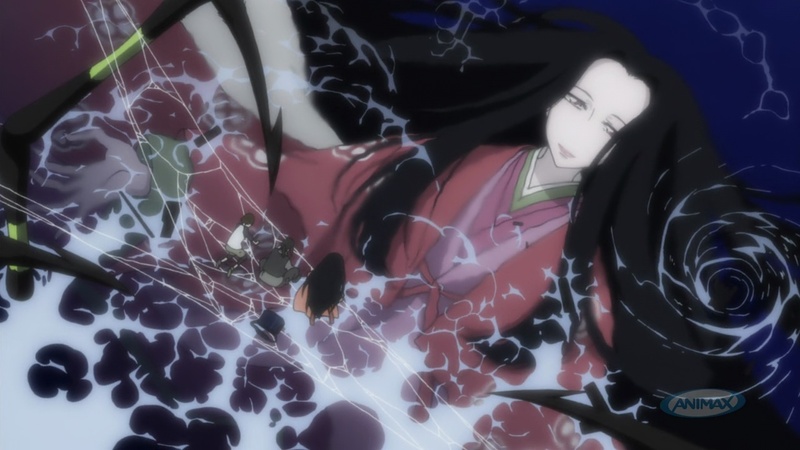 Did spiderloli throw Mizuki into the jaws of a giant spider to appease her mother? Or did she simply want to replace her in the "normal world?" 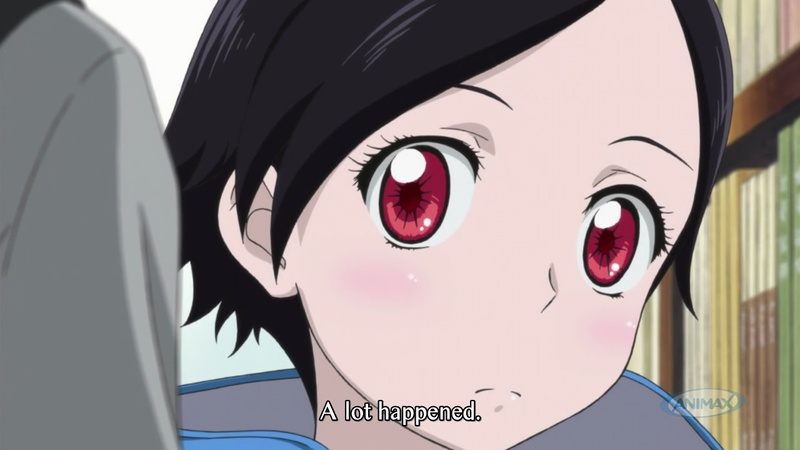 Once again, the unsuspecting Suzuri is charmed and doesn't give a care in the world that Mizuki is gone. 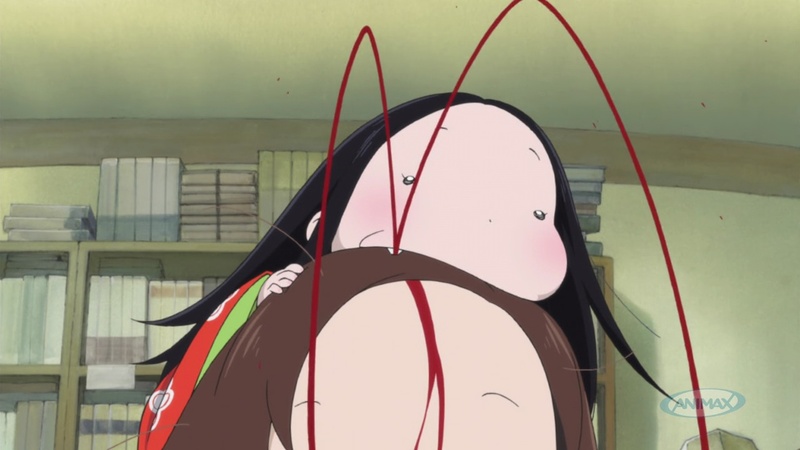 If all the animators wanted to do was to shock their audience, then mission accomplished. Overall, I felt that it was a decent watch, and the ending alone makes 25 minutes worth the time. Perhaps I should check out some of the other Young Animator Training Projects as well.